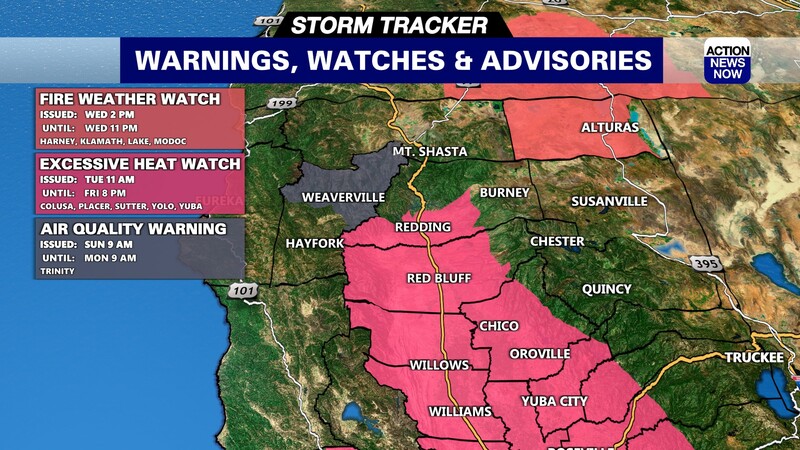 Severe heat will continue across Northern California today, as temperatures become even hotter than the last few days. Skies are clear for the start of your Thursday, but we could have some clouds moving into our region from the South late this afternoon. Temperatures are starting out in the mid 60's to mid 70's in the valley this morning, and mountain areas have dipped into the 40's to mid 50's overnight. Winds are out of the Northeast to 10mph early today. Winds will likely stay up to around 10mph this afternoon, but will be out of variable directions. 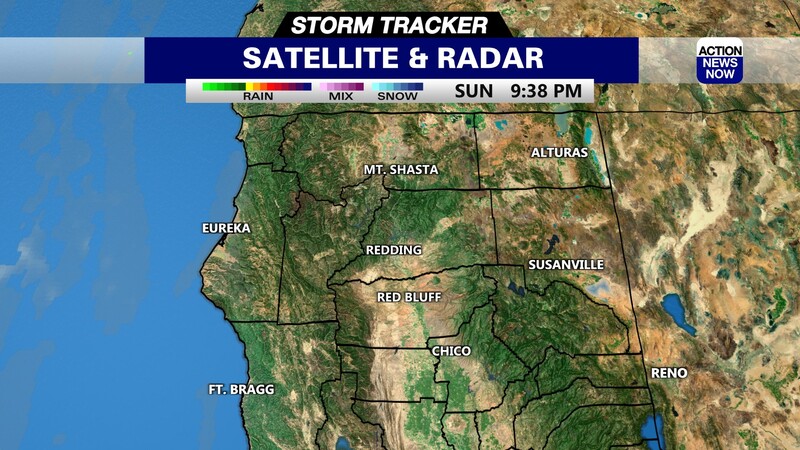 South winds will develop across most portions of Northern California tonight. 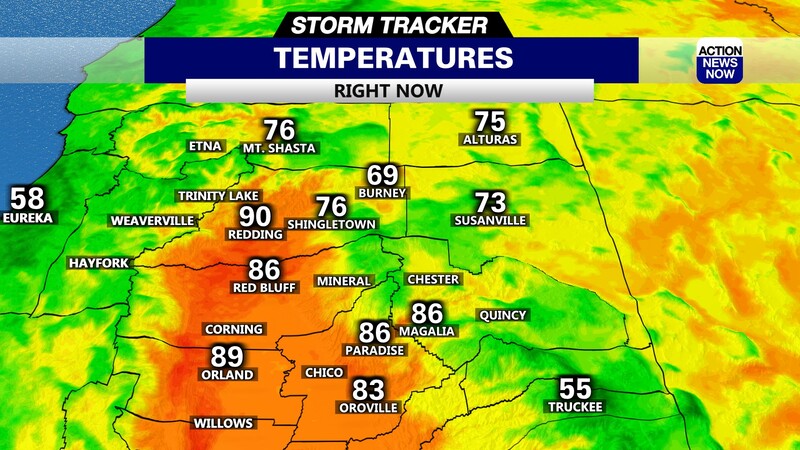 Temperatures are getting very hot for your afternoon. Valley areas are projected to top out in the 102 to 107 degree range later today, and mountain areas will end up in the 90's to low triple digits. Triple digit heat will mainly be possible for a few portions of Trinity County, but most mountain areas will end up in the mid 90's this afternoon. Clouds will start to fill back into the region tonight. Cloudy skies, and Southwest winds will help to limit heating across the region on Friday, but temperatures will still be a few degrees above average. Winds will be out of the Southwest to 10mph for most areas on Friday. Clouds will blanket the region late tonight, and will continue to brush through the entire region on Friday. There will be a chance for showers and thunderstorms in the mountains for the next several afternoons. The best chance for active weather will be Friday and Saturday afternoon and evening, but we cannot rule out the chance for more unstable weather continuing on Sunday into Monday. There will be a 10 percent chance for active weather in the valley from Friday night through Monday. Temperatures will stay very hot through the weekend, with most of the valley projected to end up in the 102 to 108 degree range. Mountain areas will end up in the 90's to low triple digits during that time. The triple digit heat will persist through at least the middle of next week, and the chance for showers will wrap up on Monday. Hot and dry weather look likely for all of next week. Don't forget to dress in loose fitting, light colored clothing, and always remember to stay hydrated.